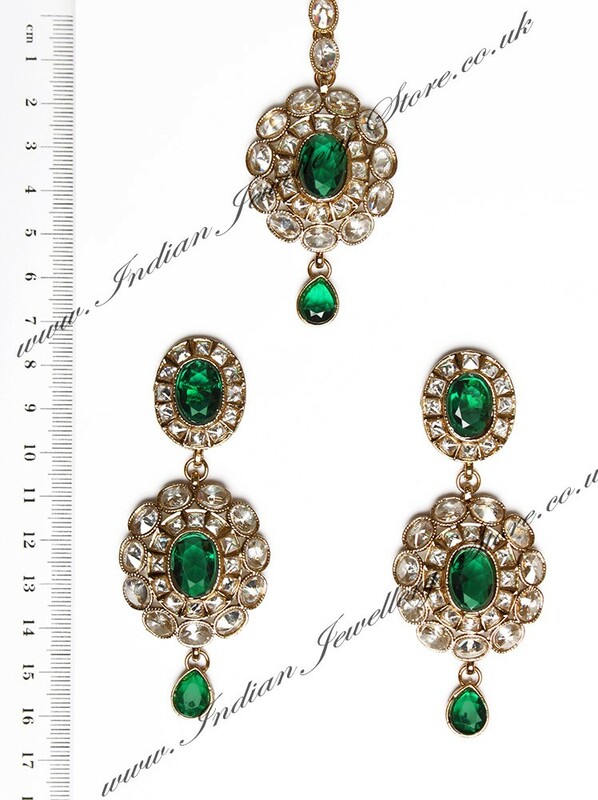 Indian jewellery set in antique-M gold colour and bottle green, set with American Diamond stones. Set includes: earrings and tikka. medium to large earrings tikka set. Premium range American diamonds at low price. Other colours available. Scale shown in image is in cm.